The ultimate selection of Maple Leaf coins! 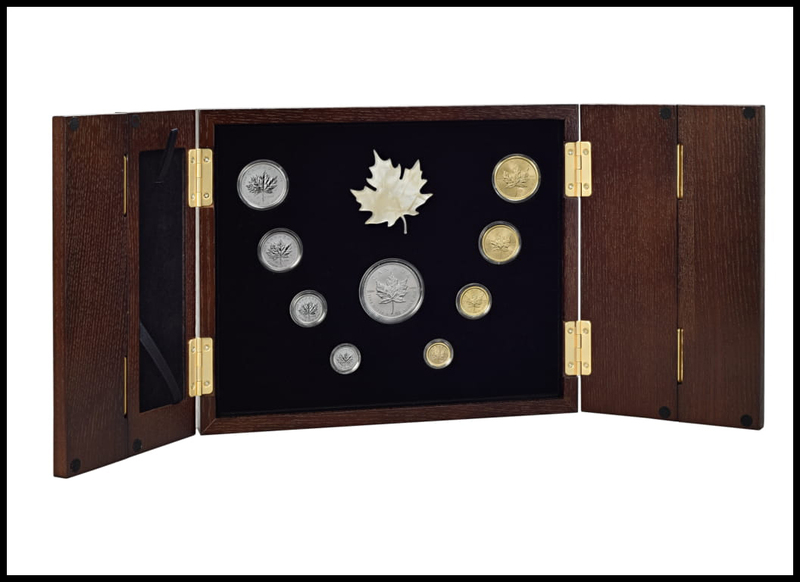 This set celebrates the 30th anniversary of one of the world's most famous coins, the Platinum Maple Leaf. Featuring the entire Maple Leaf family - all denominations issued in all precious metals in 2018, the coin's Pearl Anniversary. These sets are not available anywhere else in the world! There is a strict limitation of just 200 sets so please act immediately to avoid disappointment! Leave your details for a priority callback!